Brand: Dean Jacob's XI-4525 Units: 1 set / 4 pcs. total Dimensions: 4⅜" diameter x 1¼" deep Each beautifully crafted Porcelain Ramekin holds up to 5½ ounces and has a large surface area to give you just the right blend of crunchy caramelized topping and cool creamy custard in every bite. Purest white porcelain will accent any table setting. 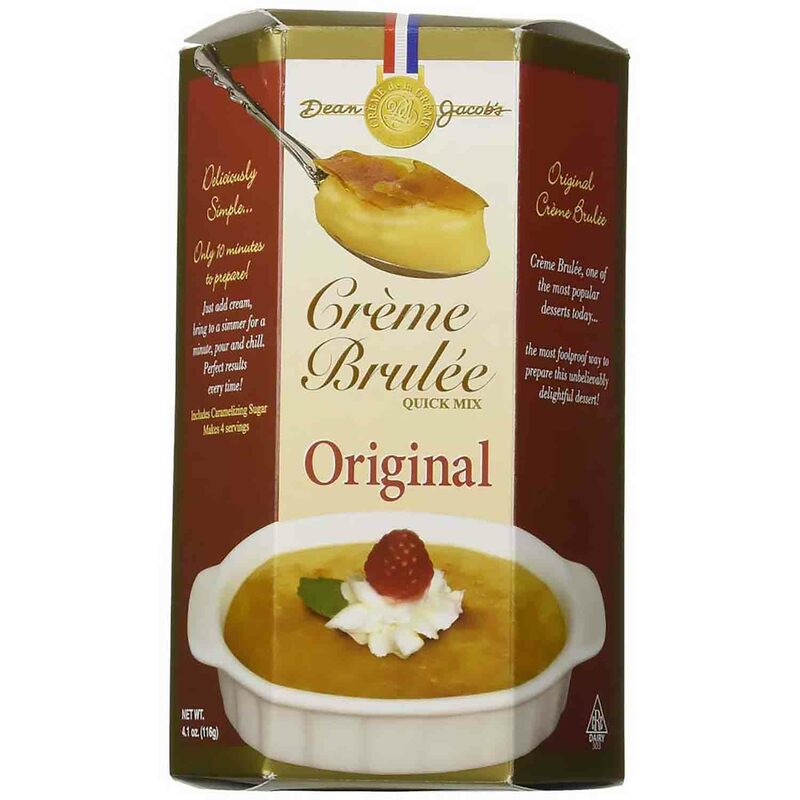 Sized perfectly for Dean Jacob's Crème Brulee Quick Mixes. Set of 4 ramekins. 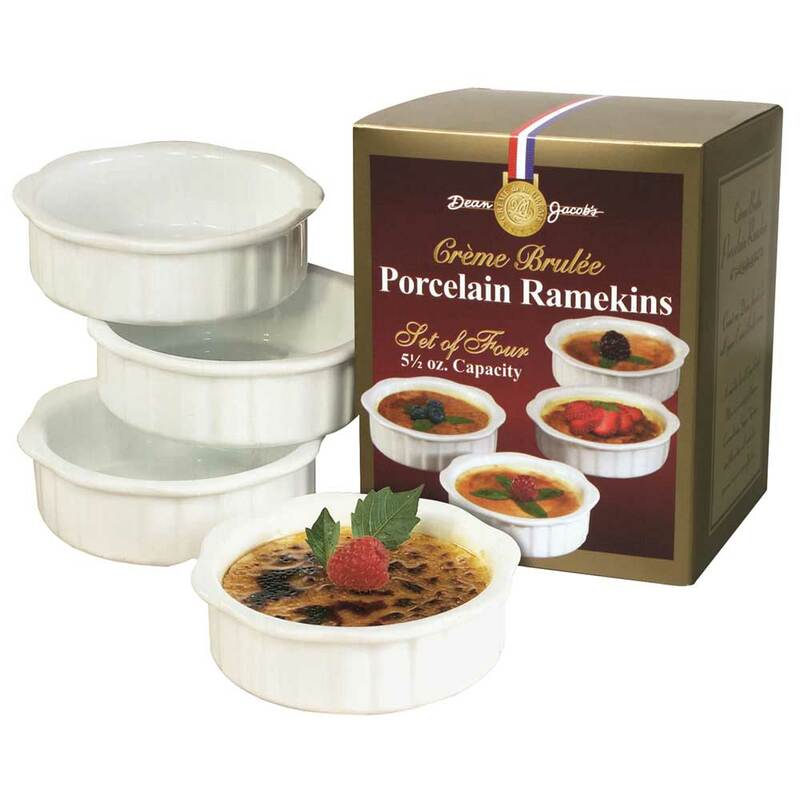 Each beautifully crafted Porcelain Ramekin holds up to 5½ ounces and has a large surface area to give you just the right blend of crunchy caramelized topping and cool creamy custard in every bite. 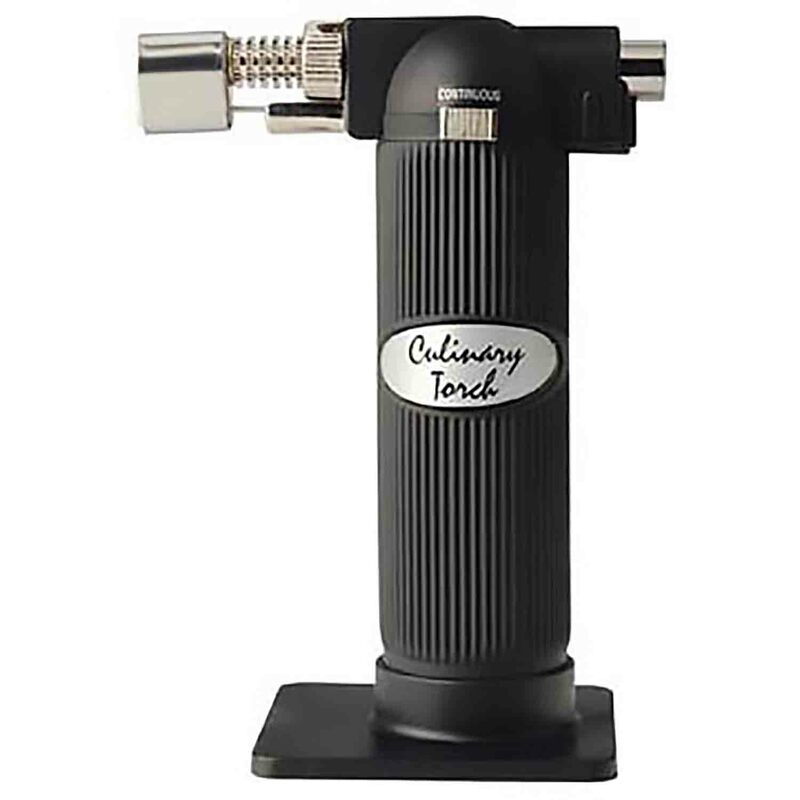 Purest white porcelain will accent any table setting. 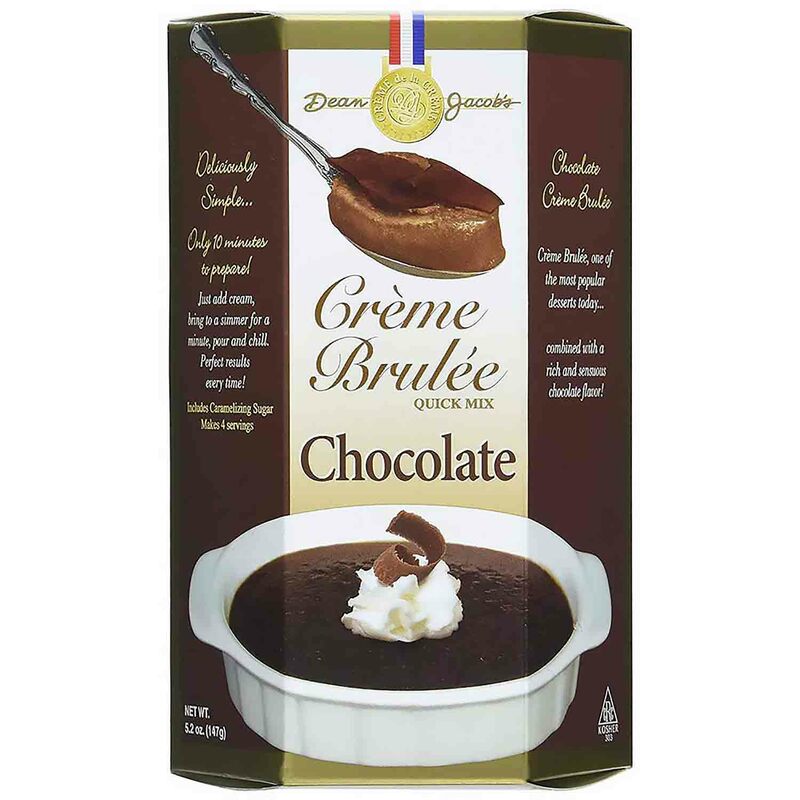 Sized perfectly for Dean Jacob's Crème Brulee Quick Mixes. Set of 4 ramekins.